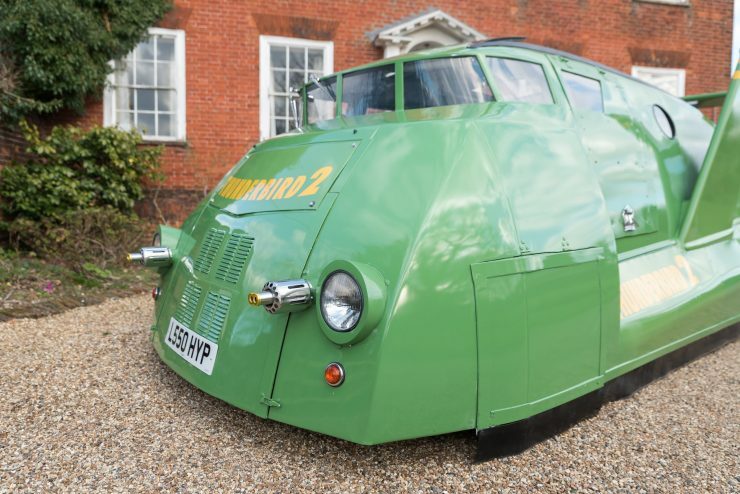 There can be little doubt that this is the best camper van for sale in the world right now, there are better equipped campers out there of course, but you can’t beat this one for kerb appeal. 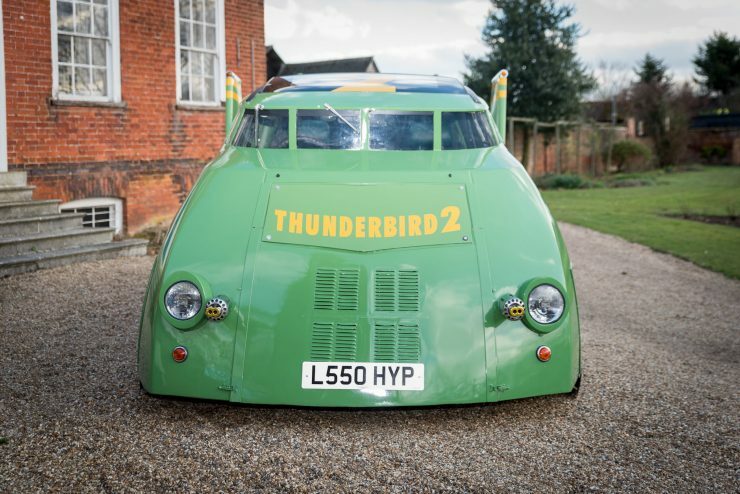 This is the only Thunderbird 2 van that was ever built, it’s in fantastic condition throughout and thanks to the Toyota running gear it should be nice and reliable. 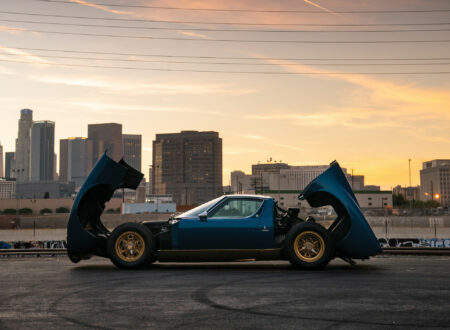 I can’t help but wonder how many necks have needed the attention of a physiotherapist after this thing has casually driven past. 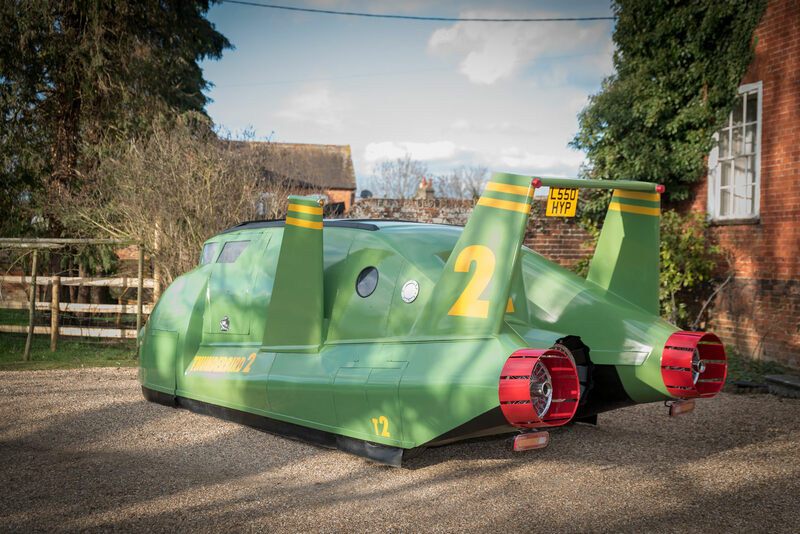 The Thunderbird 2 was the heavy-duty transporter aircraft used by International Rescue, the team made up of Jeff Tracy and his five adult sons, as well as Brains, Tin-Tin, Kyrano, and Grandma Tracy. 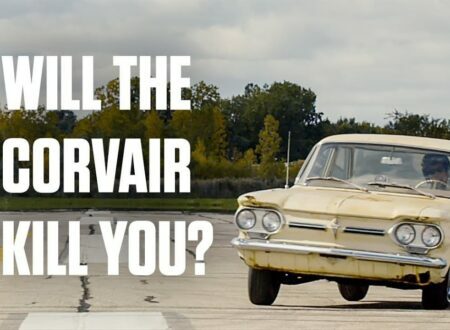 The Thunderbirds originally aired from 1964 to 1966, it was a British sci-fi television series that famously made use of electronic marionette puppets which the creators called “Supermarionation”. These puppets were made famous all over again decades later with the film Team America: World Police by Trey Parker, Matt Stone, and Pam Brady. Though the TV series only ran for 32 episodes over 2 years it’s become a cult classic in the decades that followed, there have since been Thunderbirds feature films made, animated TV series, and even stage adaptations. 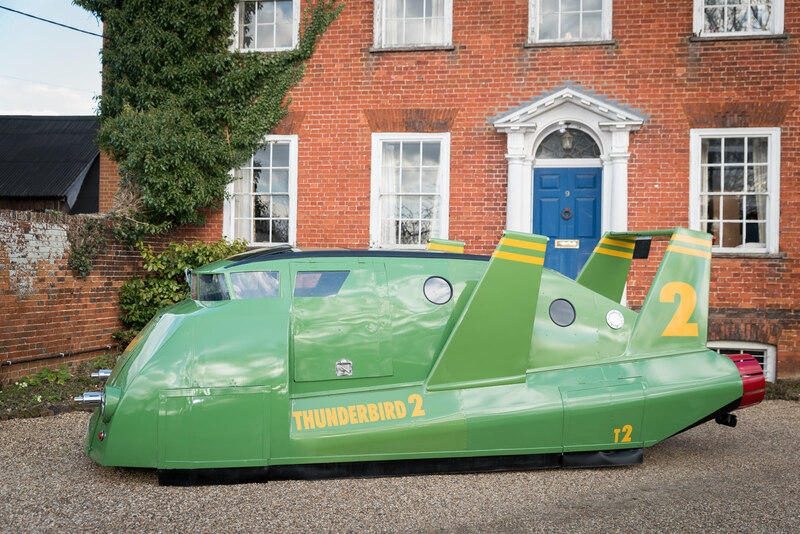 The Thunderbirds are headed by American former-astronaut Jeff Tracy on their secret base on Tracy Island in the South Pacific Ocean, a remote location chosen to maintain the secrecy required to avoid having their advanced vehicle technology stolen. 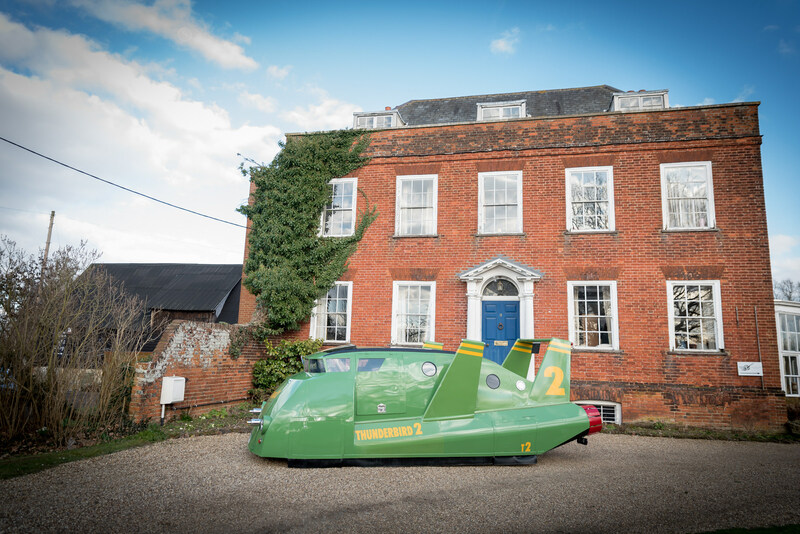 The fleet used by International Rescue was made up of five primary vehicles and a multitude of smaller vehicles including hover bikes which were used as it proved impossible to make the puppets walk believably. 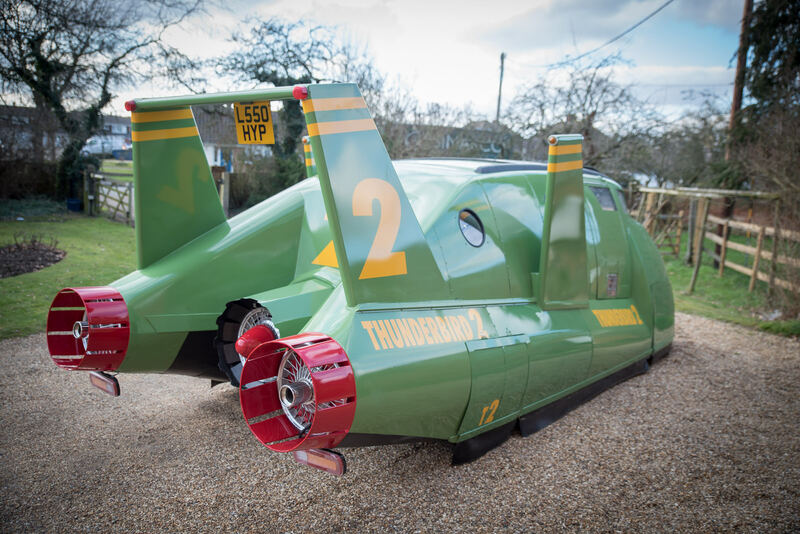 Thunderbird 1 – A hypersonic rocket plane that would typically arrive on the scene first due to its speed, it was used for quick response and for scanning disaster zones from the air. 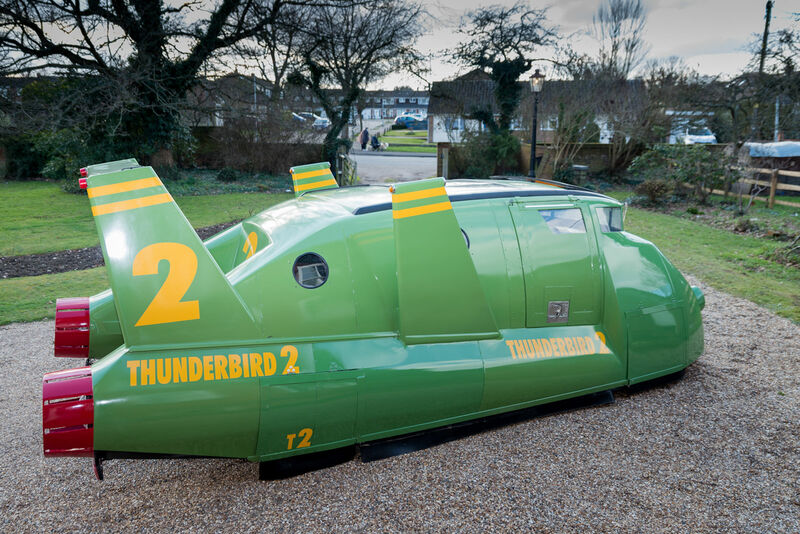 Thunderbird 2 – A supersonic carrier aircraft capable of 6000 mph but limited to 2000 mph for cruising. 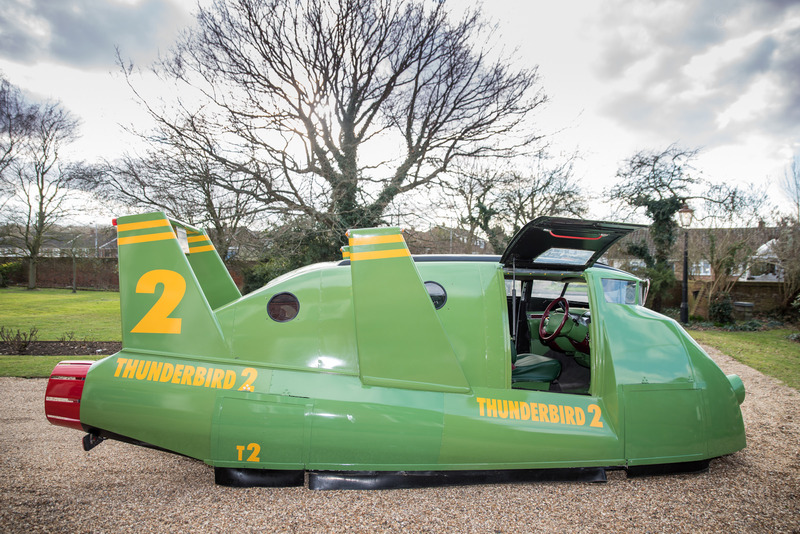 Thunderbird 2 was used to transport rescue vehicles, gear, and equipment in capsules called “pods”. Thunderbird 3 – An advanced single-stage-to-orbit spacecraft that had been developed using exceptionally advanced technology, making it a prime target for IP theft. 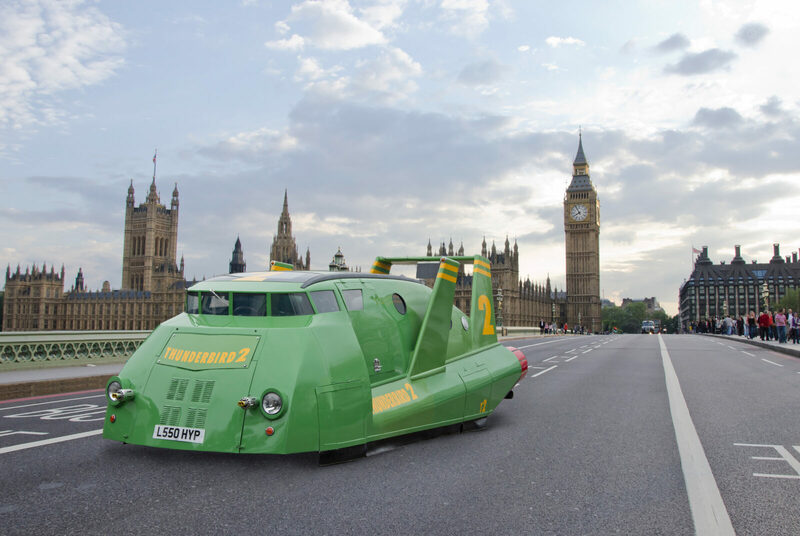 Thunderbird 4 – A small submarine that fits into Pod 4 in Thunderbird 2, allowing it to be deployed anywhere in the world. 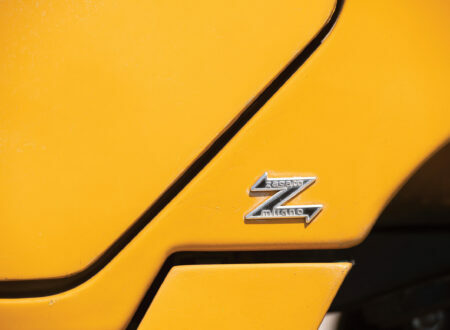 Thunderbird 5 – A space station that was manned by “space monitors” and was used for relaying distress calls from around the world in real time. 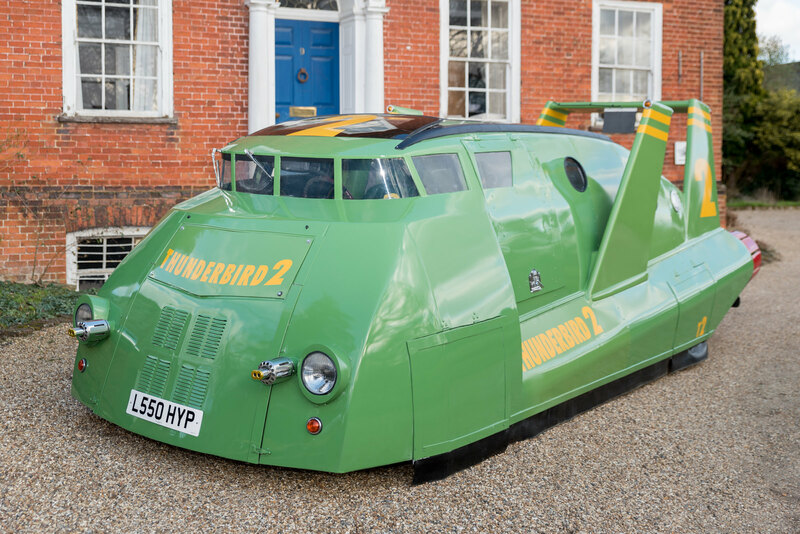 The Thunderbird 2 you see here is a 100% road-legal conversion with a bespoke metal body based on a 1994 Toyota Previa (2438cc petrol/automatic). 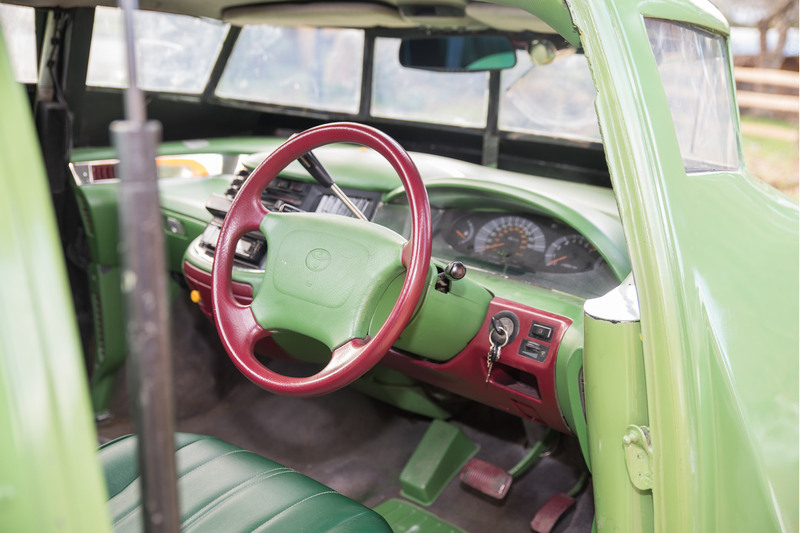 It has eight windows at the front, the two in front of the driver have windscreen wipers, and there are two circular ports on either side. Entrance and exit is by gull wing doors on either side with gas struts and a pull handle, the interior is color-matched to the exterior, and it has all the requited headlights, indicators, and brake lights to keep the boys in blue happy. 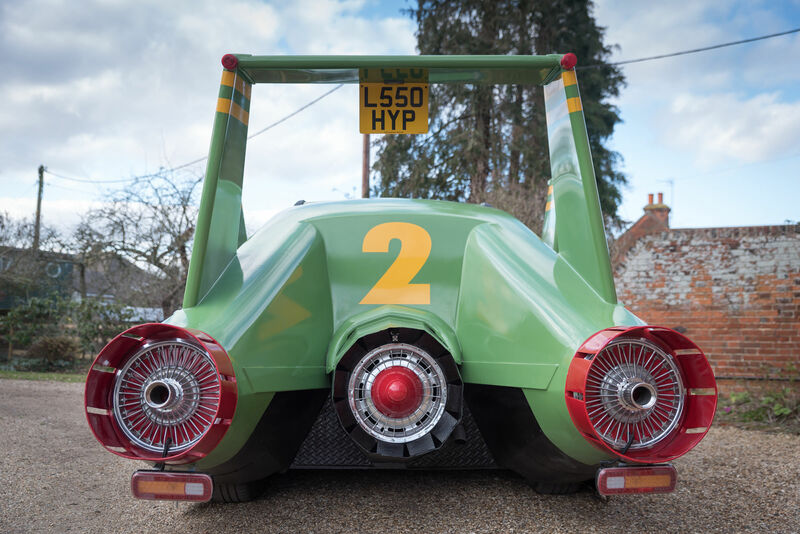 In the back you’ll find a a Thunderbirds themed bed and a roof-mounted DVD system (so you can watch Thunderbirds obviously) and your view outside is provided by the circular portholes. 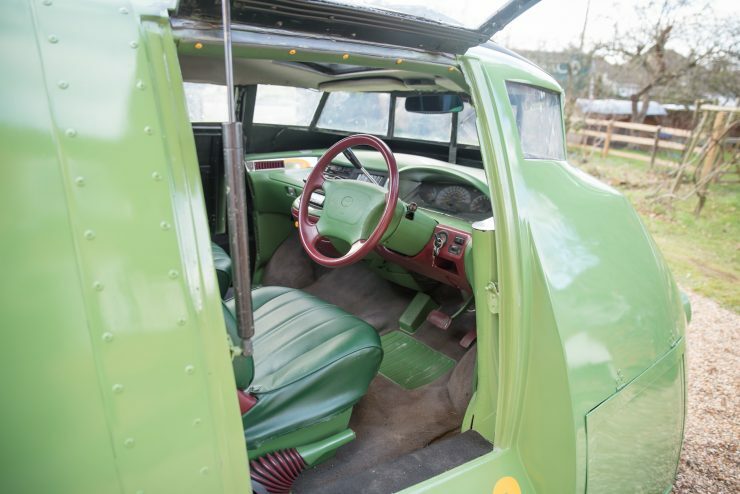 It might not be the most practical camper van for sale but you’d have no problem at all making friends when you roll into the campground. Alternatively, it’d make an excellent novelty AirBnB listing. 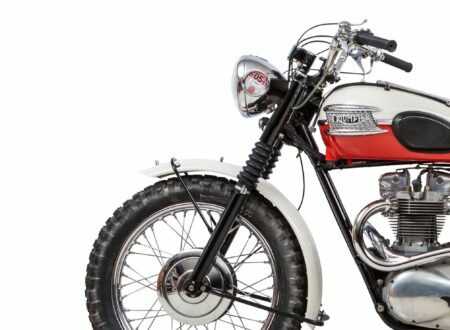 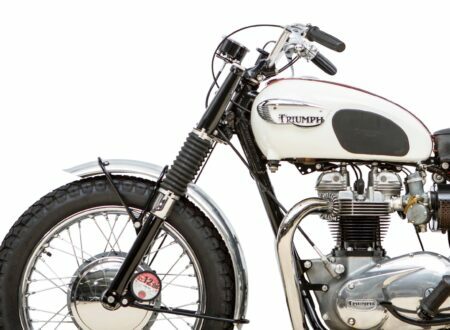 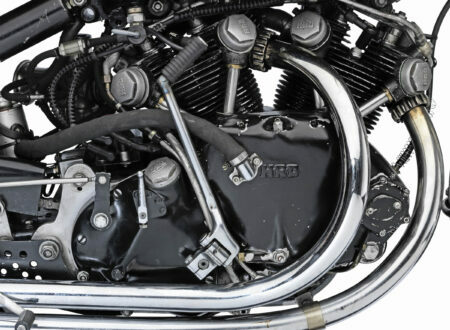 If you’d like to buy it you can click here to visit the listing on Total Headturners.